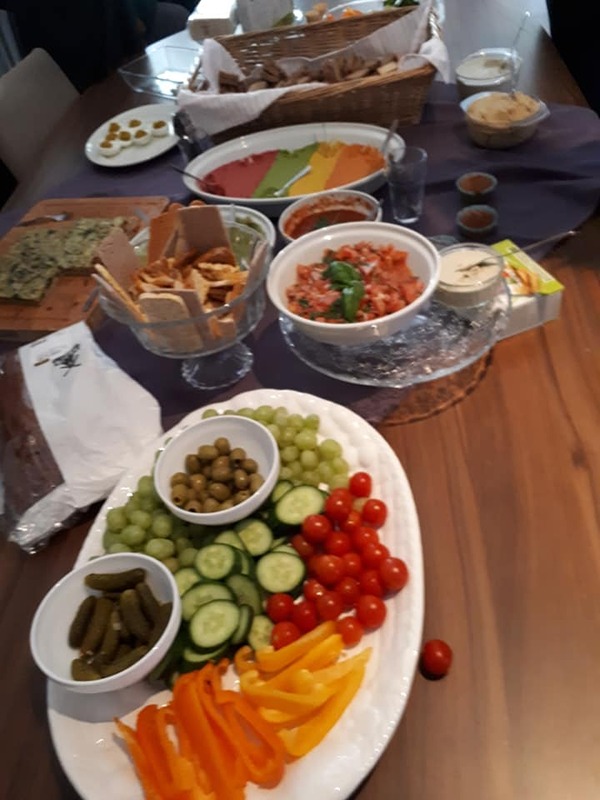 Ambassador Annemieke shares what happened at the latest Utrecht circle meeting. On a sunny Sunday, 40 people joined a Circle meeting in almost the smallest village of The Netherlands: Tull en ‘t Waal. 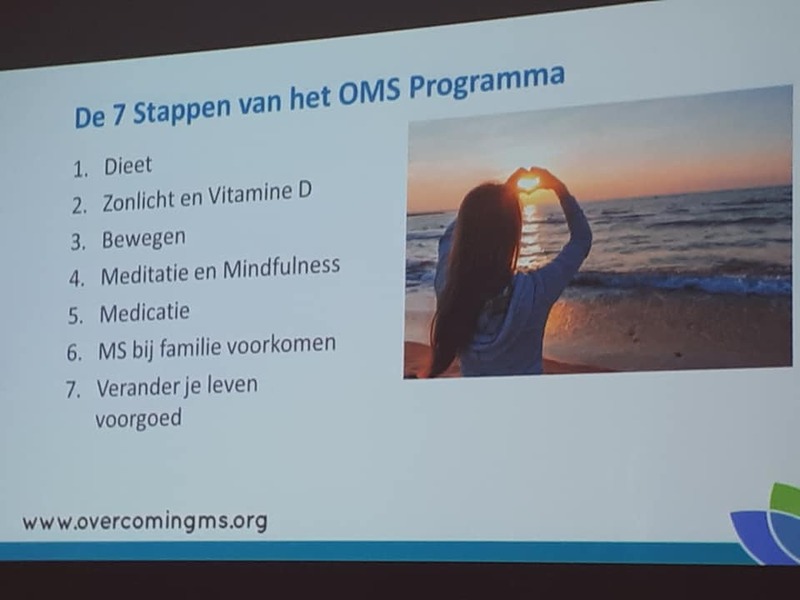 I organised the meeting because at the moment in The Netherlands there are a lot of PWMS who want to join the OMS program. 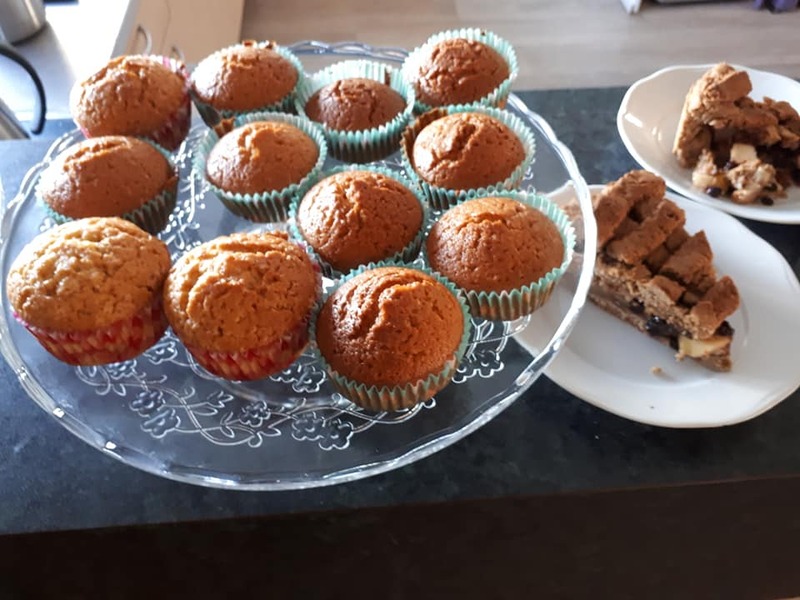 We started the afternoon with a cup of tea and coffee, served with muffins and apple pie, of course all OMS compliant. Then I presented the OMS recovery program in 7 steps. 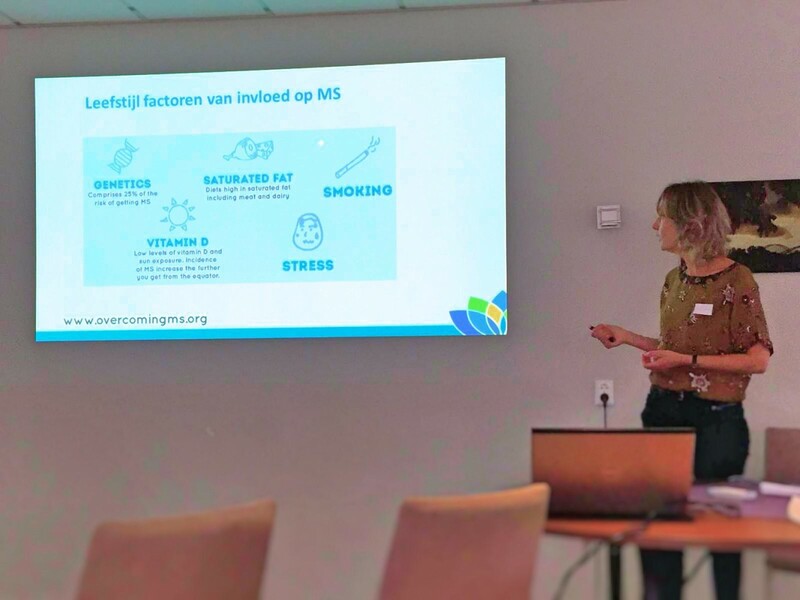 I used a part of the presentation, which all ambassadors receive in their welcome package, translated it to the Dutch language and added some practical information, like where to order flaxseed oil in The Netherlands, how healthcare can support by starting exercising and so on. The participants were very positive, there was a lot of interaction and the ambience was nice! After the presentation we had a drink and appetizers. The appetizers were very tasty and all OMS compliant. Did I do the job alone? No. 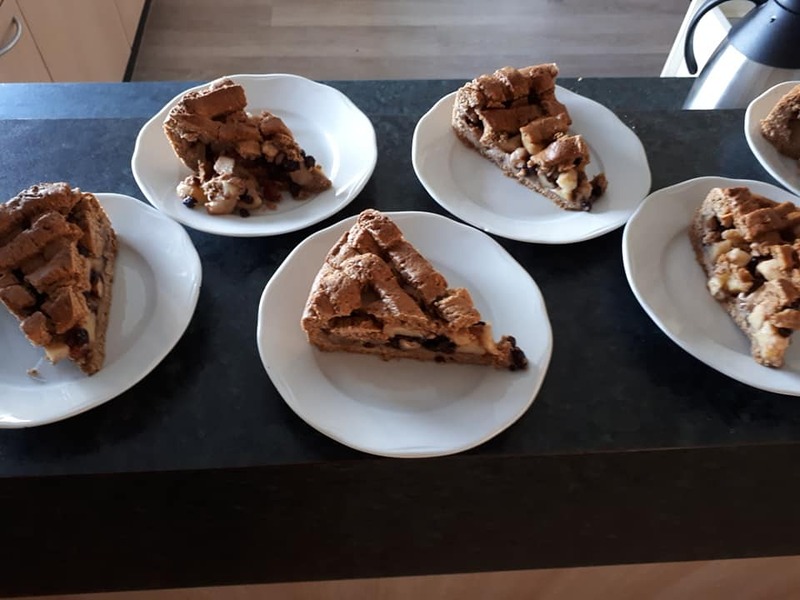 I asked help from people in my circle: somebody baked 3 apple pies, another 24 muffins and regarding the appetizers I could share the work with somebody else. The same goes for making the coffee, doing the dishes and so on. The compliments I received after the meeting and in our Facebook group were great and support and stimulate me to continue my work as an ambassador for OMS!